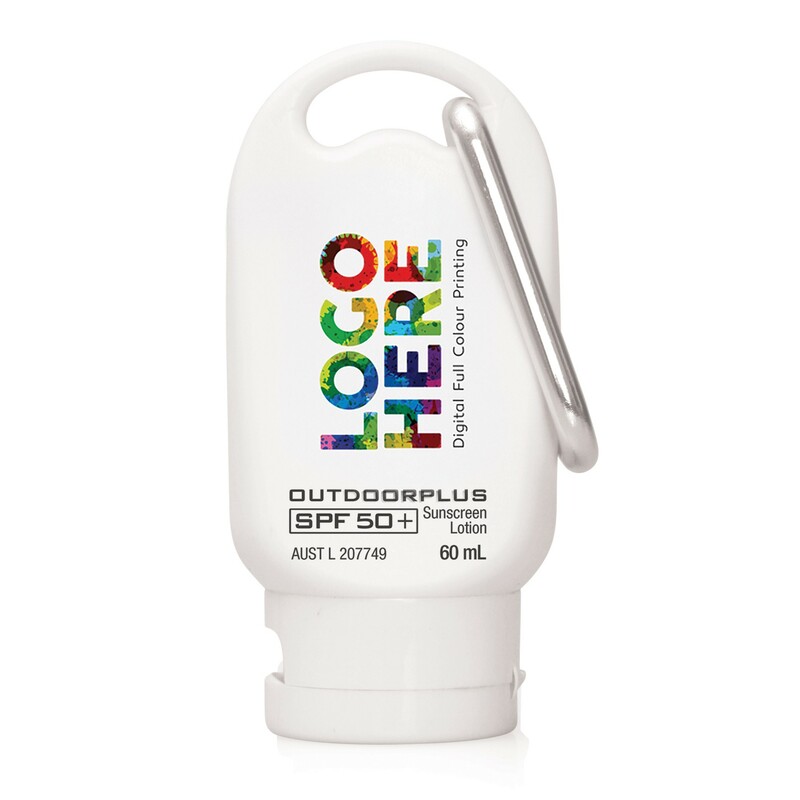 A 60mL branded bottle of Australian sunscreen. Keep your skin healthy and protected with the help of these Australian made sunscreen packs. They're a convenient and practical way to promote your logo and stay protected from the sun, no matter the occasion. They have a capacity of 60mL and come with a carbiner clip.